We urge U.S. citizens in the impacted areas who are safe to contact their loved ones directly and/or update their social media status. If you are in the affected area and need immediate emergency services, please contact local authorities. As a general consideration, we urge U.S. citizens in Dominica to follow local curfews, restricting movement from 4:00 pm to 8:00 am. Ferries: Commercial ferry service may be provided by http://www.express-des-iles.com/informations-voyageurs/horaires.cfm”L’Express des Iles. The schedule changes daily and we suggest you consult its website frequently due to the fluid situation. We are currently updating our information regarding U.S. government coordinated evacuations. Please check travel.state.gov on September 27 for the latest updates. The following applies to all U.S. government coordinated transports: U.S. citizens should bring only hand luggage and their passports, any medications and essential items should be carried on your person. No pets can be evacuated. Only service animals will be permitted to board the flight, and strict luggage restrictions will be in place. Evacuees may not bring weapons of any type. Boarding priority will be given to children, elderly, and persons in need of medical assistance. We will make every effort to accommodate special family circumstances. Please note that shelter, food, and water may be unavailable at the airport and sea port. We discourage U.S. citizens from traveling in the dark. Ross University: We are aware that there are many U.S. citizens associated with Ross University in Portsmouth, Dominica. Ross University has arranged and paid for travel for students off the island and onward to their final destination, as well as lodging for them once they reach St Lucia. The University has established a 24-hour hotline (1-800-488-8790) for inquiries and is arranging the evacuation of its faculty, students, and families. State Department evacuees are required to reimburse the U.S. government for their evacuation as well as organize further travel onwards from their safe haven. 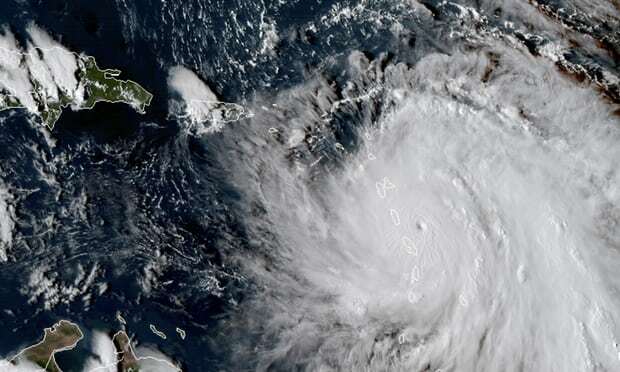 At the moment, the safe haven is Martinique with outward flights that are overwhelmed by evacuees from Dominica. Onward travel arrangements will be the responsibility of the traveler. U.S. citizens should follow the emergency instructions provided by local authorities. Monitor local and regional reports for updates on the situation. Unaccompanied minors: At this time, minors are not permitted to travel unaccompanied. Pets: If you wish to leave Dominica with your pet, you will need to use commercial or private transportation. Please go to FEMA’s website, http://www.fema.gov, for information about response efforts in the U.S. territories of Puerto Rico and the U.S. Virgin Islands (St. Croix, St. John, and St. Thomas). If you are entering information about a U.S. citizen in Dutch St. Maarten, Anguilla, Saba, or St. Eustatius use “Netherlands” as the Last Known Country. If you are entering information about a U.S. citizen in French St. Martin, Montserrat, St. Barthélemy, or St. Kitts and Nevis, Guadeloupe, Dominica, Martinique, St. Lucia, Antigua and Barbuda, St. Vincent and the Grenadines, or the British Virgin Islands use “Barbados” as the Last Known Country. Evacuees from Hurricane Irma should contact Accounts Receivable Division in Charleston for information about repayment of loans. Evacuees can send an email to FMPARD@state.gov, or call from within the U.S. and Canada: 1-800-521-2116. International callers can call 843-746-0592.